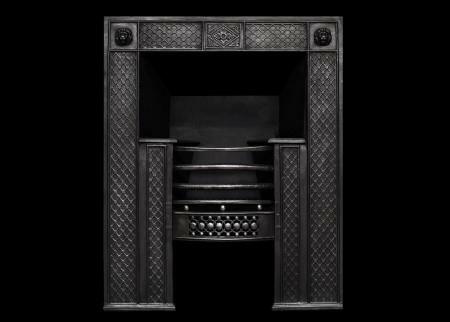 Thornhill Galleries hold a comprehensive collection of antique register grates which offer an entirely different appearance to our collection of antique firegrates. 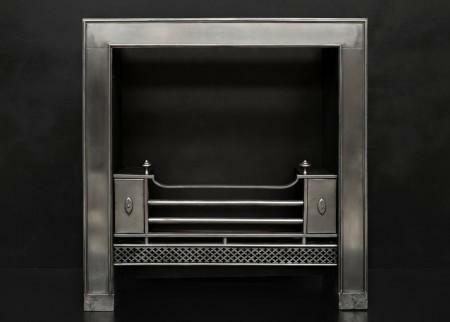 Designed to fill the entire fireplace opening our extensive range of register and hob grates is predominantly comprised of 18th and 19th century designs from the Georgian, Regency and Victorian periods. 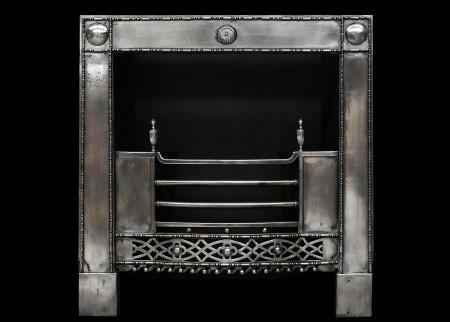 Additionally we have numerous reproductions of period register grates of both Irish and English origin as well as some exquisite hob grates dating from the 18th century. 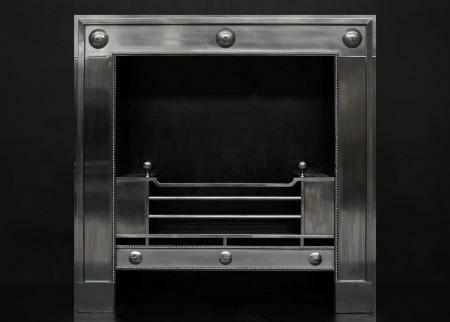 A polished steel register grate. 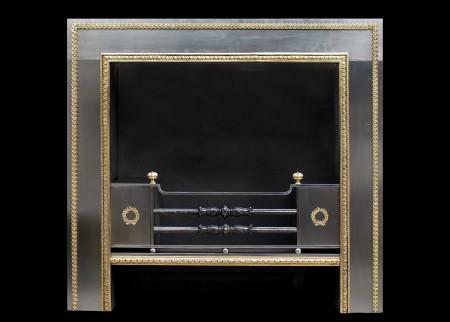 The frame with finely engraved paterae to top and beading to inner edge. 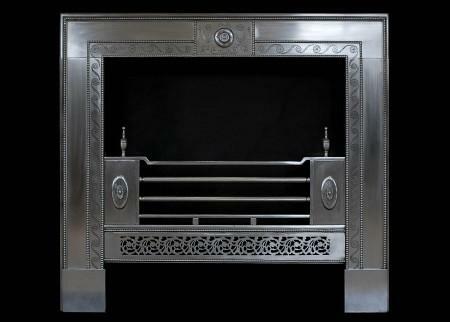 The burning area with ball finials, plain bars and fret with beading and plain paterae. English, modern. 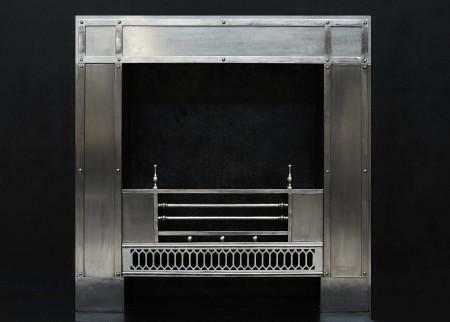 An elegant polished steel register grate. 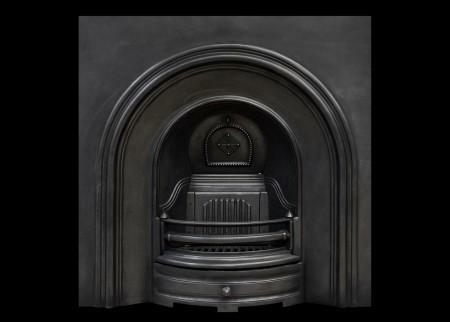 The outer frame with moulding and decorative patera to centre. 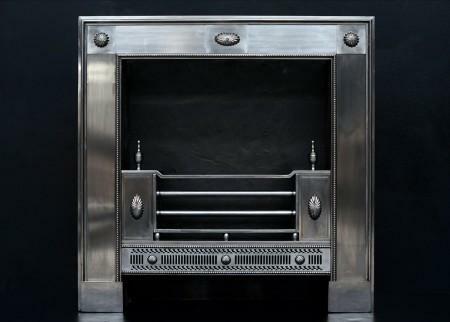 The burning area with bowed front bars and polished hobs. English, modern. 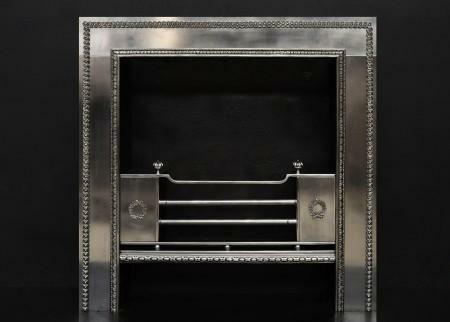 A Georgian style polished steel register grate. 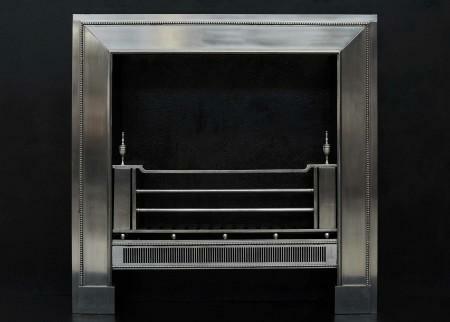 The fluted fret with beaded top and lower moulding. 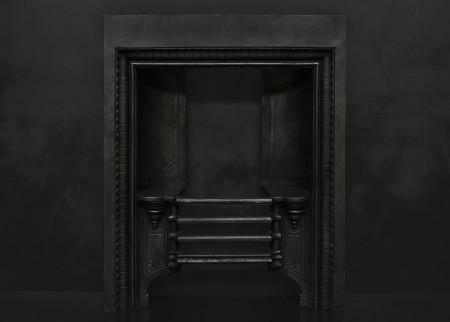 Matching beaded moulding to outside of frame. Urn finials. N.B. May be subject to an extended lead time, please enquire for more information. 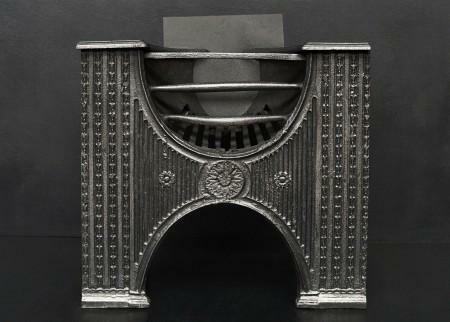 An Irish brass and steel register grate. 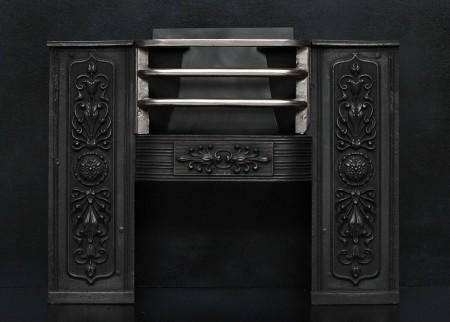 The fret and frame with delicate engraving, steel front bars and Adam style urn finials. Engraved round paterae to top. A copy of a period 18th century original. N.B. May be subject to an extended lead time, please enquire for more information. 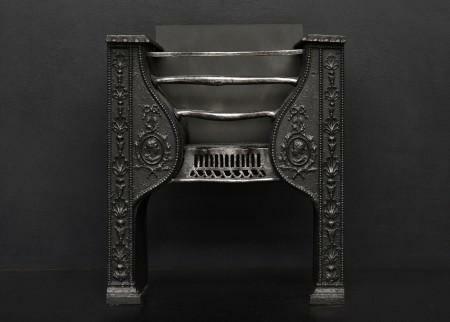 A fantastic quality copy of a mid 18th century Irish register grate in steel. 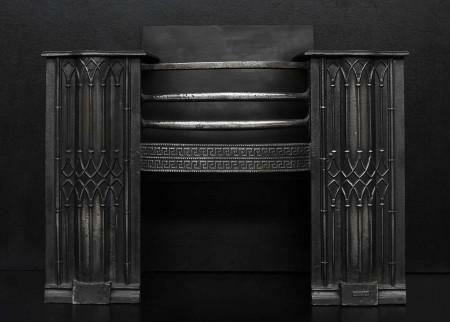 The pierced, engraved fret surmounted by wrought iron bars and steel finials. 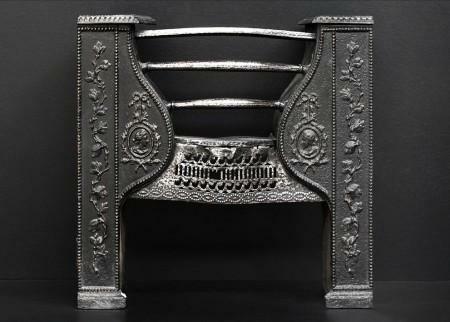 The steel frame with fine engraving and round paterae to top. N.B. May be subject to an extended lead time, please enquire for more information. 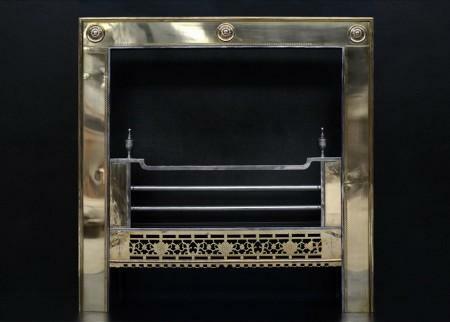 An elegant Regency style steel Register grate with brass enrichments. 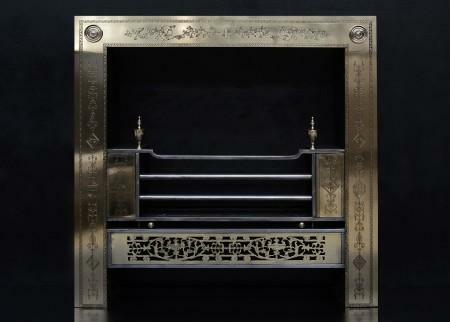 Cast guilloche brass moulding to outer rim, and engraved leaf and pearl inner moulding. Laurel pattern to hob fronts. Could also be made to bespoke sizes. N.B. May be subject to an extended lead time, please enquire for more information. 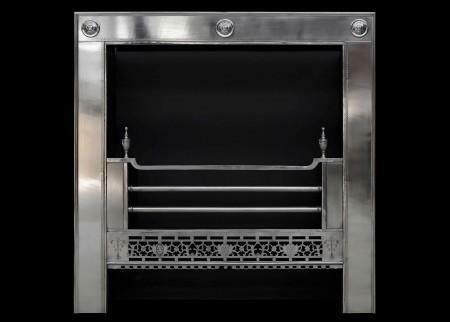 An elegant Regency style steel register grate with enrichments. 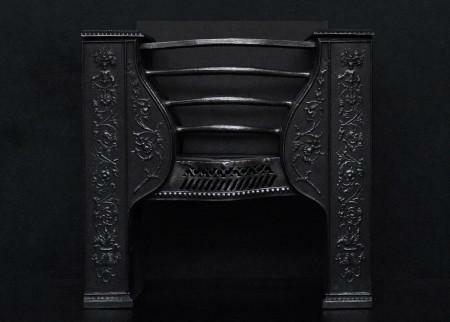 Cast guilloche steel moulding to outer rim, and engraved leaf and pearl inner moulding. Laurel pattern to hob fronts. Modern. 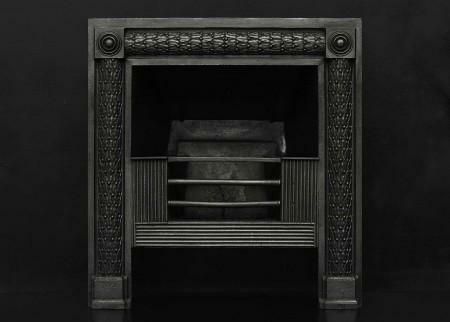 A very unusual cast iron fireplace insert by Thomas Jeckyll. 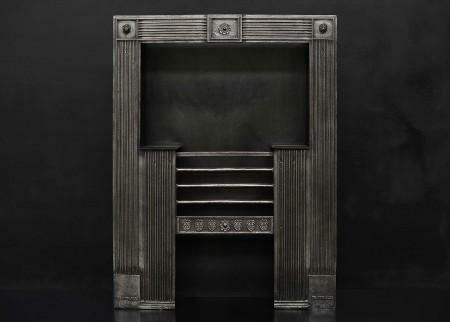 The reeded background with finely cast rosettes of varying decoration. 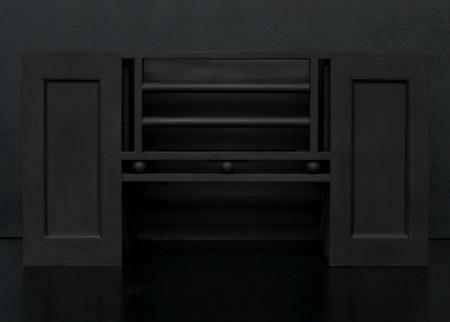 Plain front bars. Currently without interiors but addition of which are included in price. 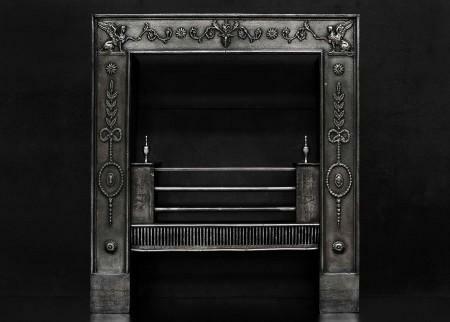 Thomas Jeckyll was one of the leading architects of the Aesthetic Movement from which this design was created with Anglo-Japanese inspiration. Late 19th century. 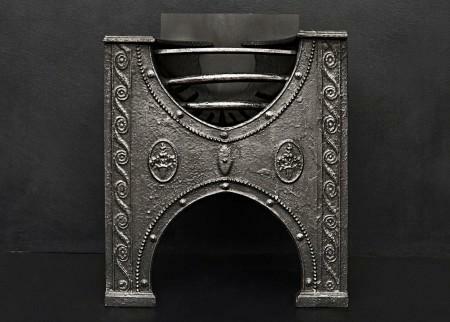 A decorative cast iron ‘hour glass’ hob grate. English, 19th century. 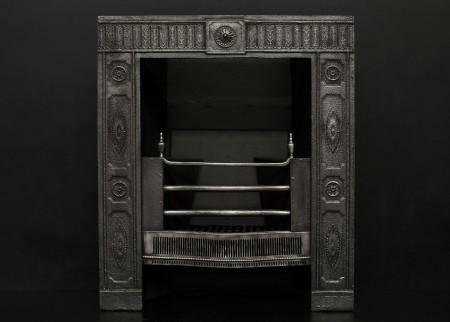 A decorative cast iron hob grate. 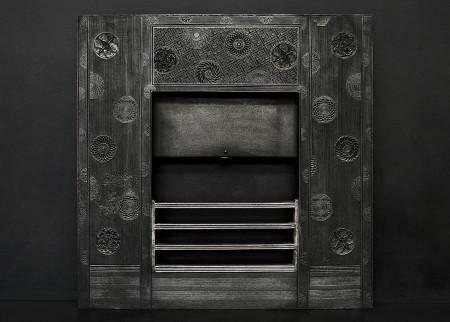 The front panel featuring musical instruments, scrollwork and birds with brass fret to centre. English, 19th century. (Could be polished if required). 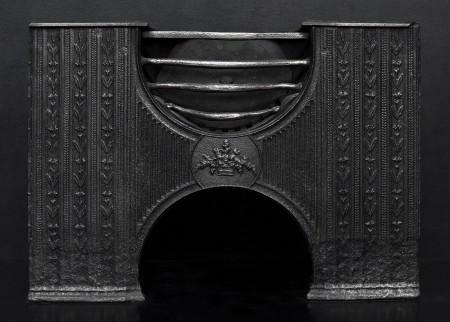 A small cast iron hob grate. 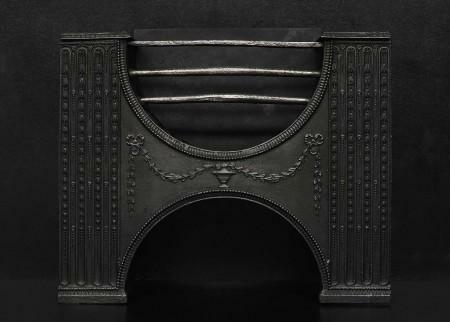 The decorative front panel with cast busts, Anthemion leaf work and beading. 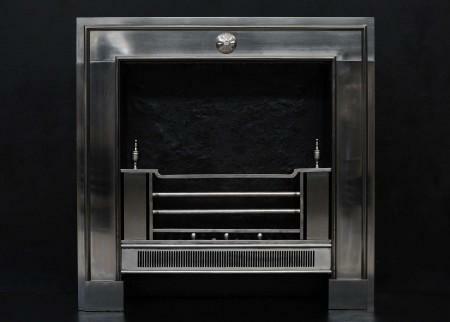 Shaped burning area with polished cast iron front bars. English, 19th century. 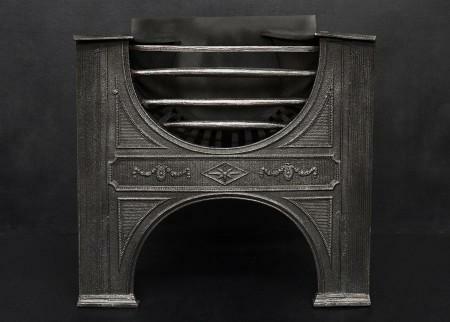 A good quality late Georgian cast iron hob grate in the Adam style. Bellflower drops to flutes, swags with leaves, ribbons and urn to centre. 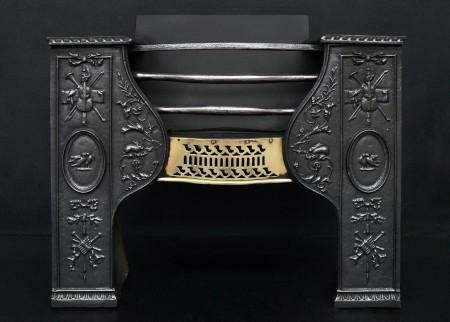 Attractive bead and acanthus leaf detail to edge to hobs. 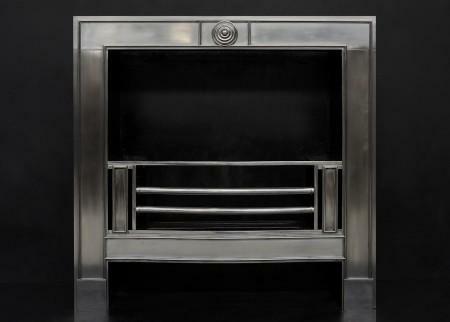 Black lead finish with polished iron front bars. 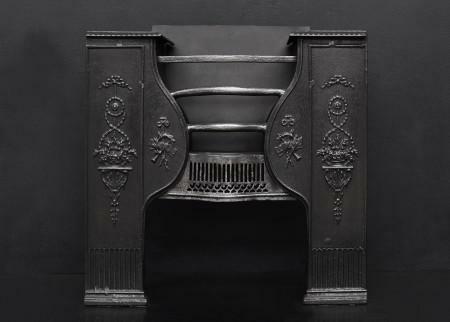 Late 18th or early 19th century.